IFRC and Save the Children in Latin America and the Caribbean surveyed over a dozen countries in Latin America and the Caribbean to understand the public's risk perception and behaviors related to Zika specifically, but also to gain knowledge on how risk is perceived in the context of an emerging disease outbreak. Results showed that awareness about Zika disease was high but understanding about what made it different from other mosquito-borne diseases was poor. Conversely, stigma and discrimination associated with the disease were low. Lack of knowledge about sexual transmission may have played a role in this. Risk communication plans should be careful to raise knowledge about new disease risk without increasing fear, stigma, or blame. 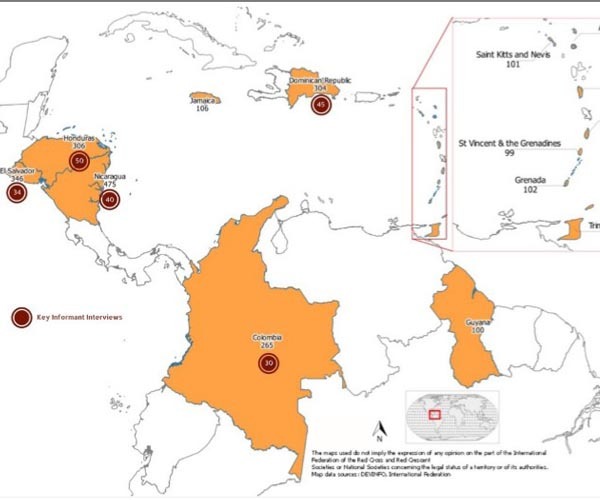 Widespread media coverage on Zika combined with lack of knowledge about specific risks may have contributed to lack of adoption of risk reduction behaviors, including prevention measures at personal and community level.